Although most jobs come with risks, some will be more dangerous than others. Miners, lumberjacks, and utility lineman are at the top of the list of dangerous jobs. Another is working offshore. There are many hazards in this line of work including head injuries, amputations, burns, and back and spinal cord injuries. 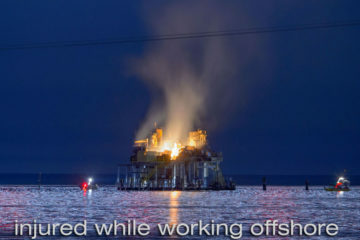 What do you need to know if you are injured while working offshore? Of course, the first thing you should do if you are injured is to seek medical attention. Even if you think the injury is not that bad, you should be checked out as quickly as possible. Sometimes symptoms of serious injury do not appear for hours or days. Once you return home, go to your doctor and get another examination. Doctors employed by the same company you work for may have more of an allegiance to the company than they do to you. Make certain your accident is reported to your supervisor. A report should be filed. If you are in doubt, write your own report of the incident, and make a copy to keep. The report should have all the details including the date and time as well as the location of the accident. Include the names of coworkers and others that were present at the time of the accident. If there were contributing factors that you believe were responsible for the accident, include them. List the equipment or tools that you were using when the accident occurred. Don’t forget to include your injuries and treatment in the report. One of the most important things you can do if you are injured while working offshore is to take steps to protect yourself. This includes not signing anything until you have read it, including the small print. If you do not understand what you are reading, you should seek legal advice to ensure you are not signing away your rights. In addition to not signing anything, you should not discuss the accident with anyone including coworkers. You may be surprised at how a skilled attorney can manipulate your words to use them against you. 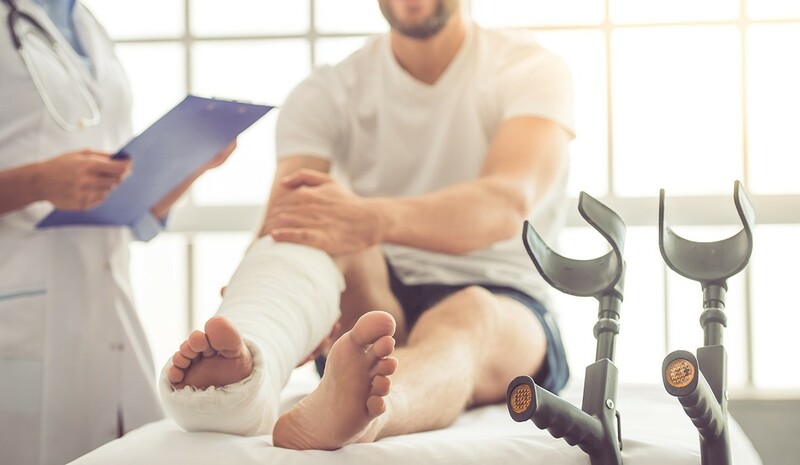 When you are injured and unable to work, it may be in your best interests to talk to a lawyer experienced in dealing with these types of injuries. This is why firms such as Simon & O’Rourke Law Firm, P.C. provide a Maritime injury lawyer. There are certain rights available to crew members working offshore. A lawyer can advise you on the federal laws such as The Jones Act that protects offshore workers. When you are injured, the medical bills, lost wages and emotional toll can be a lot to handle. Does Your Business Need Professional Commercial Solicitors? Commercial solicitors offer advice to governments and companies regarding business issues. The practice covers a wide range of work, and commercial law companies are also divided into various departments referred to as practice areas. In the departments, legal experts specialise in a certain type of work. They can be contentious legal experts who help clients resolve disputes or transactional solicitors who draw up legal documents and review them for the clients. Why Your Business Needs Professional Commercial Solicitors? With the rate at which the business world is expanding, it has become very difficult for businessmen to manage all tasks required to run a business, including planning and legal requirements. Many people are finding it hard to run a business that complies with all the set legal regulations without external help. It is, therefore important for any business to hire the services of a commercial solicitor to help with the running of things effectively. Regardless of whether you have a startup or established business, small or large, a business solicitor is an integral part of the existence and growth of your organization. A business solicitor will offer you an abundance of legal services to your firm. The solicitor’s role is essential from the time you start the operations of the organisation. So, if you think that you will only need a business solicitor when you get into legal problems, you are very mistaken. Waiting until you have been served with a court summon will only help you lower the penalty if you are guilty of whatever you have been charged with. However, having a solicitor all along will ensure that you are running your business lawfully and meeting all the set requirements and regulations. Why Choose GSC Solicitors As Your Professional Solicitors? GSC is a commercial law firm in London that specialises in advising companies of all sizes and private individuals who run their businesses. Their clients include privately owned businesses, entrepreneurs, big institutions and publicly quoted firms, among others. Some of their clients are overseas. The company is accredited and holds the LEXEL and Investors in People awards. They are the only medium-sized firm that carries out their business in 16 foreign languages. This company is run by professionals and hiring them will help you excel in whatever business you run. The first thing that a commercial solicitor will do for you is getting all the necessary legal requirements out of the way while starting a business. They will verify every agreement you intend to enter into and analyse whether there is a condition or term that requires mutual amendment. If there is, they advise you to do as required. A business solicitor will also draft contracts and agreements for vendors and employees of your business. WHY YOU NEED AN EXPERIENCED Corporate Lawyers, IF YOU HAVE A BUSINESS. If you know that you have got skills to set up a new business, you must take each and every step with great care. We all are aware of the fact that doing business is all about taking risks and doing adventures but falling into something blindly is not done at all and it will give you no good. So, make sure that whenever you do a business, you get the help of the corporate lawyers to make sure that you do not do anything that is not in the favour of your business. The corporate lawyers are the ones that have the ability to give you the best piece of advice regarding your business. they have all the knowledge regarding the corporate world as well as the corporate laws. there is no one who is able to tell you better than them about what is happening in the corporate world. The laws of the corporate world keep on changing every other day. If you open the business today and the law gets changed tomorrow, the corporate lawyers will be the one to rescue you at the moment. So, if you hire a lawyer for such things beforehand, you will not have to worry about anything and your future will get secured as well. The first thing for which you might need a lawyer is about the type of the business. 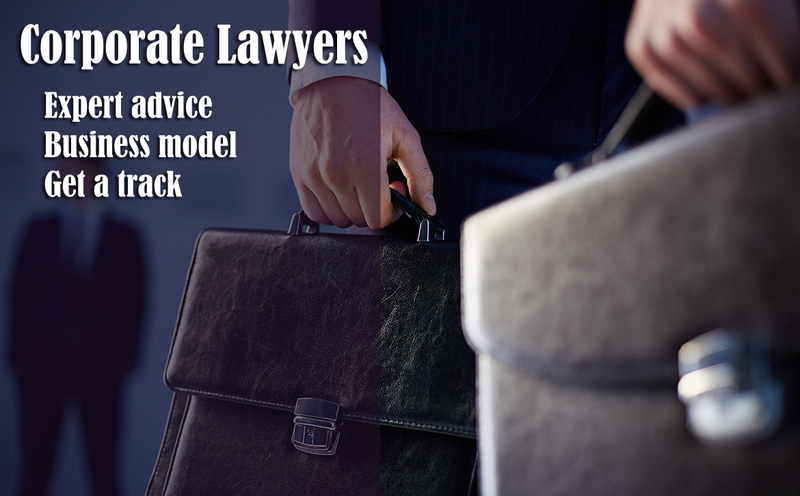 there are 4 business models and if you are not clear about the nitty-gritty of the business, hiring a lawyer will help you in taking a decision regarding the type of the business model. Lawyer will tell you what is best for you and how much of the cost will you have to bear in order to take the business model forward. It everyone is a pro in doing the business. some need a track so that they can follow it. the corporate lawyers help the people in finding that track and approaching it so that they can do that business in a particular way. if you want to reach anything, you ought to have a track for that and if you do not follow a track, you will not be able to find what is yours. What type of the business model you should choose or which business model will be effective for you? Is there any potential for growth for you in the business or will it be able to mark its strength in this progressing world? What sort of tax advantages will you get in the business? Which documents will you need for setting up the business?